Allow me to introduce you to our sweet, precious Granddaughter, Stella Claire Furrow. When I first heard her name I thought it was simply beautiful and I had to do a quick search to discover what each name meant. Stella means star; and Claire means clear and bright. What a perfect name for this little girl. Clear, bright star! She is definitely our star. She is a gift from the Creator, the maker of heaven and earth, the One who hung the stars in the sky and knows each one by name. The greatest responsibility Stella’s parents have is to introduce their little star, Stella, to the One who created her. As Creator, God knit this little one together in her mother’s womb. He designed every bit of her, from the number of hairs on her head (and there are many! 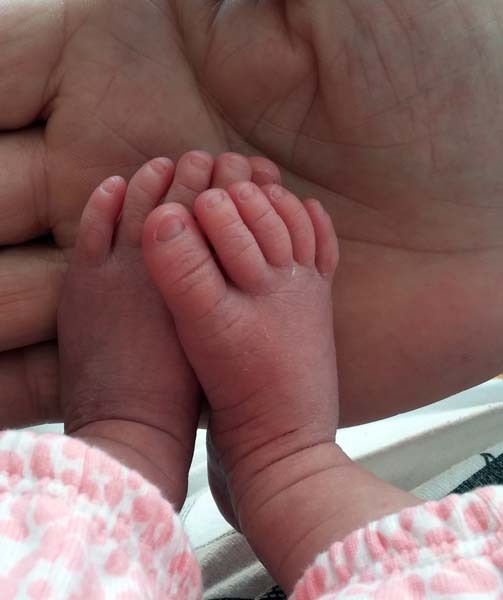 ), right down to her tiny little toes. There is nothing about this little girl that God is not intimately aware of and intends to use for his glory; and Stella must learn that. Why is it important for Stella Claire to know God as her Creator — as The Creator? Because this is who God is: Creator. God’s own Word reveals God to us as the Creator from Genesis to Revelation. Genesis 1:1 tells us that in the beginning, God created the heavens and the earth. He did not just rearrange matter, or sort out what was already here, God created everything from nothing with his Word and by his will. In the beginning, there was nothing apart from or in addition to God – God in three Persons – God the Father, God the Son and God the Holy Spirit. God the Son made all things (John 1:1-3) as God the Holy Spirit prepared creation for the life that God the Father’s Word brought forth (Genesis 1:2). God’s throne room in heaven, which Revelation describes for us, clearly shows God eternally praised as the Creator. Whether Stella Claire decides to accept these facts as truth is up to her. No one can force her to believe. No one can believe for her. Nevertheless, in her heart of hearts, she will always know the truth; everyone does. As we choose to believe on God as the Creator, it helps us to understand more fully that he owns us and therefore has a right to us because he made us for his purpose. This is tremendously freeing because we no longer have to struggle to find our place, our identity, or our reason for living; as the Apostle Paul says, in him we live and move and have our being. God created each one of us and has a plan for our lives, just as he has for our sweet Stella, and it is perfect. As we accept God’s sovereignty as Creator over us, we will find that we can accept his engineering of every circumstance of our lives for our good and his eternal glory. In addition, as we recognize his glorious wisdom in our circumstances our complaints will cease and our witness to his goodness will increase. Are you searching for purpose? For identity? For reason? For worth? The answers you are seeking are found in your Creator. Such a beautifully written post. Praise God for the gift of Stella to your family and vice-versa! May she glorify God all her life. I have no doubt that, as her name indicates, she will shine bright in this world. Love to all. So happy for all of you. What a sweet blessing she is! She will have a loving teacher to make sure she knows the Lord. 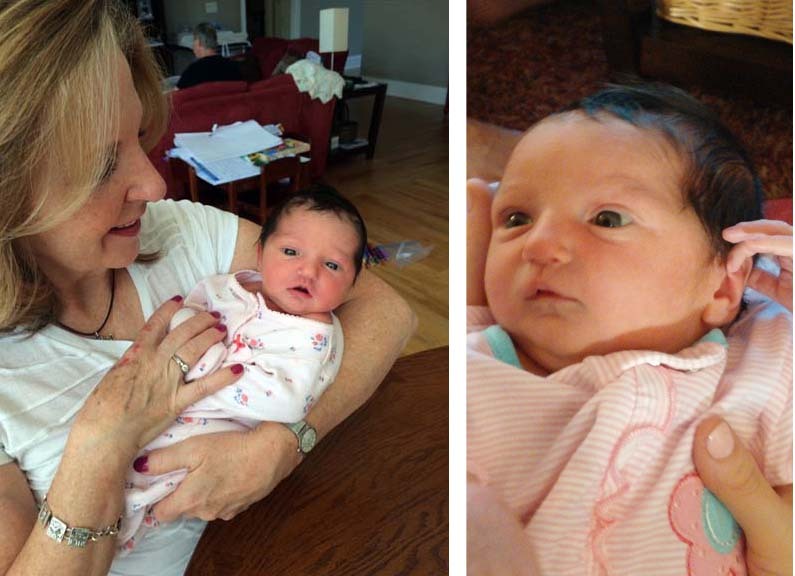 How wonderful seeing you with your sweet new grand daughter! 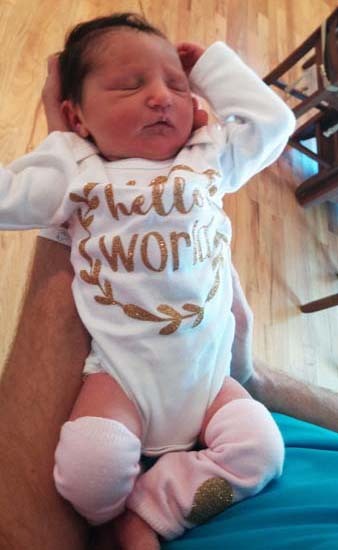 The words the Lord inspired you to write were so fitting for the miracle of this new life, Stella Claire Furrow!